When did you last check your gift card stock? I know it is not the holiday season right now but gift cards are a great option all year round. Remember SelbySoft can print full custom cards for you. Check out these samples of gift cards from other customers. Are you promoting those cards? Don’t forget that they can be used as a gift card, prepaid card, rewards card and a customer profile card! Check out some of our past blogs to see ways you can use gift cards to increase revenue. Do you ever have to offer a refund on a gift card? In some states it is required if the customer asks. For example, here in Washington State, the gift card laws state that you are required to cash out the gift card if the customer asks and if the balance is less than $5.00. Fortunately, SP-1 has a simple and safe way to handle this! First we head to System Setup Operations: 2 and turn on the ability to offer a gift card / account refund. We can also set an upper limit here so your employees are not refunding more than you want. To issue a refund, you use the Paid Out button and select gift card in Order Entry. 1) Buy a gift card and get a retail product. This works best for those of you that are providing bulk coffee or tea. Instead of discounting a beverage, give them enough beans or bulk tea to take home and make their own. Encourage those retail sales so they drink your product at home and in the store! 2) Buy a card or trade in points to be a VIP. Buy a $100 or $200 card? 10% off pastry sales for the next month. Save 200 points? Trade that in for 10% off drinks in the next month. 3) Enter a contest. Allow customers to trade their reward points in for an entry to win an iPad or something similar. This is a great way to eat up those large point balances you might have out there! Have an 4th? Comment and let us know! SP-1 has a ton of features. I thought it would be fun to list a few that many of you might not be aware of! 1) Cash In: Cash in a special transaction type that is found under Misc. Charge in SP-1. Essentially, it is the opposite of a paid out. When you select this option, you are telling SP-1 that you have put money from an outside source into the cash drawer. It can be used in a number of situations including: Recording money earned from a gumball machine or arcade game, putting extra change in the cash drawer and so on. 2) Gift Card Refund: Have you ever wanted to give someone cash back for their gift card? Hopefully not but if you have to, there is an easy way to do it. When you select Paid Out, there is a Gift Card Refund button. That button allows you to swipe a gift card and issue a cash (or credit card) refund for the amount. You can setup a maximum amount to refund in the system setup portion of SP-1. This allows you to issue refunds but only of a certain amount. 3) Use Foreign Exchange: Are you near the Canadian or Mexican border? Do you accept their currency? If you do, this is something you should be using. When this is selected, you can push a button and see what the balance due is in that foreign currency! 4) License Expiration: If you have delivery, then this is for you. In the Employee File, you can enter the date that the employees drivers license expires. When that employee clocks in, you can setup a custom notification if their licence is expired. That will help ensure that the driver is not out representing you with an expired license! As a bonus, those of you without delivery can use this as well for other items. Some people use it to ensure they have a health permit that is up to date for example. 5) Print An Employee Hours Summary: This feature allows your employees to print a slip with the hours that they worked since their last clock in. There you go. . . five features that you might not have been aware of. Hope they help! I recently found another reason to ditch those old paper gift certificates and move to a plastic gift card. My wife and I recently wanted to buy a gift card for a relatives birthday. They live out of town but we know where they like to eat. I called the restaurant and asked if I could buy a gift card to be presented to them when they showed up. The person that answered informed me that they had recently been robbed! The night before someone had kicked in the front door, grabbed a bunch of stuff and ran. Included in the items stolen? You guessed it, all their paper gift certificates. The real downside is that they own a couple of locations so now it’s going to be very difficult to determine, at each location, if the signatures etc are valid. With plastic this won’t happen. Because the cards are not loaded until the customer pays, the worst thing that can happen is that you are out the cost of the plastic! 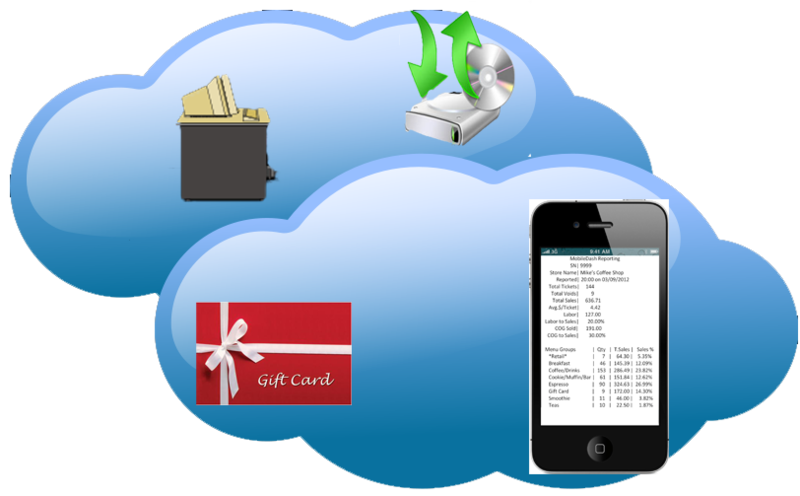 Did you know that the SelbySoft has three ways of handling your gift card systems? The first and most popular method is our internal gift card system. This is built into every SP-1 system and gives you the ability to use gift, prepaid and rewards (or loyalty cards) completely free of charge in your store. This method is designed for either single locations or locations that don’t need to share a gift card between stores. The second option is primarily for people with multiple locations. In this scenario, our Corporate Reporting software handles all of the gift, prepaid and rewards (or loyalty)cards. The cards then will work across all the locations. The third option is to handle the gift cards through a third party credit card processor. In this case we primarily recommend Mercury Payment Systems as they have a no fee gift & reward system. Mercury is a great choice if the store needs to provide balances online or if the stores involved are part of a franchise system. Mercury has the ability to handle Corporate Pooling between the stores.